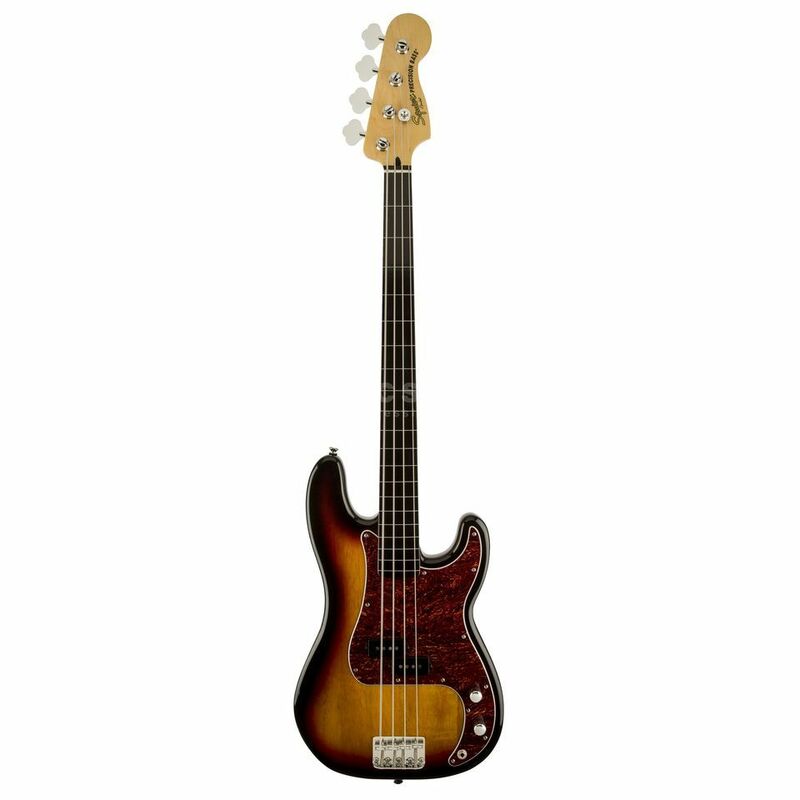 The Fender Squier Vintage Modified Precision Bass Fretless 3-Color Sunburst combines the classic knock-out sound with the singing sound of a fretless Ebenol fingerboard. The classically designed Agathis body and the screwed maple neck in the "C"-profile offer the usual smooth-running playing comfort. A Fender Designed Split Coil in the mid-position is used as pickup, whose striking thrust in the low midrange skilfully reproduces the singing fretless sound. Last but not least, the Fender Squier Vintage Modified Precision Bass Fretless features the traditional 4-Saddle Pure Vintage bridge and precise Vintage Style tuners. The Fender Squier Vintage Modified Precision Bass Fretless combines the singing sound of the fretless fretboard with the rich punch of a split coil pickup.